The baking frenzy has begun again. Over the weekend, I made some delicious pumpkin pie pancakes with some pumpkin puree. I had some leftover pumpkin puree that I needed to use so I decided to make some muffins with it. But not your ordinary muffins. I made Butterscotch Pumpkin Muffins with white chocolate chips. I am pretty darn proud of these muffins. They look good, they’re low fat and they taste good! I tell ya, if I keep eating all of these pumpkin treats, I am going to turn into a pumpkin. Yea, I know, lame joke but it made me laugh while I was typing it! I got the base recipe for the muffins from the “Better Homes and Gardens New Cookbook” published in 1996. I got creative and added the pumpkin, butterscotch flavor and white chocolate chips. I hope you enjoy my recipe. In a large mixing bowl, combine the flour, sugar, pumpkin pie spice, salt, baking powder and butterscotch pudding. In another mixing bowl, combine the egg, milk, pumpkin puree and applesauce. Place the muffin mix in a pan lined with muffin papers, about 2 tbsp of mix per muffin cup. Allow to cool before attempting to remove from the muffin papers. If you don't the muffins will stick to the papers! Don't be a muffin waster. Cool before you eat. A few people have mentioned that the muffins stick to the paper. I did not have this problem once they cooled overnight but here is what you can do to prevent sticking if you do not want to wait for them to cool over night: Use ⅛ C of applesauce and ⅛ C of canola oil in the mix. Or you can try spraying the muffin liners with cooking spray. This sounds like an amazing flavor combo, Julia! Oh I was about to take a bite! These look delicious! I know your kitchen was smelling good while these were baking! These look fantastic! I am putting them on my baking list…immediately! Yesss! Thank you! I cannot wait to try these! My husband LOVES pumpkin and white chocolate! I am gonna have to try them!! They look mouth watering! 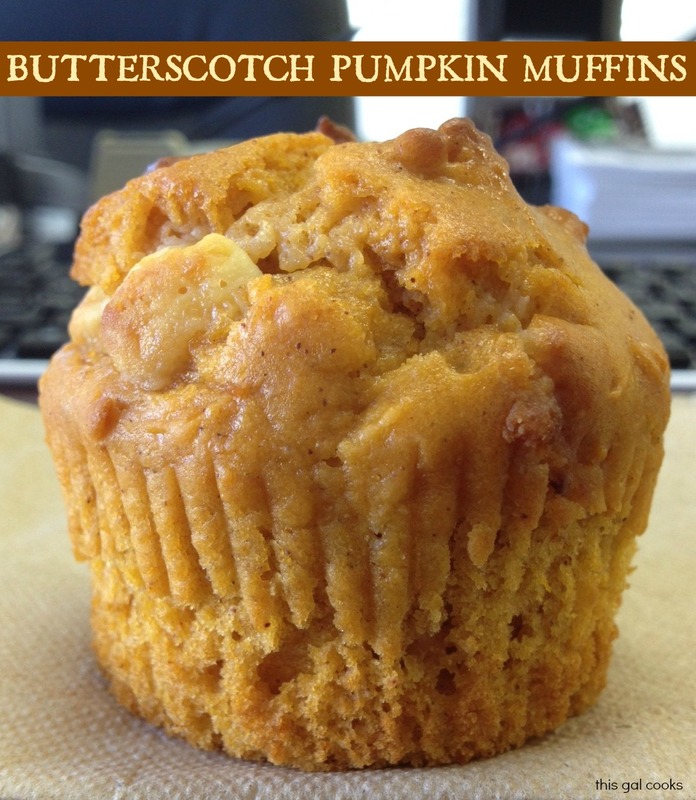 I recently made some pumpkin muffins with butterscotch chips and that flavor combo was amazing. 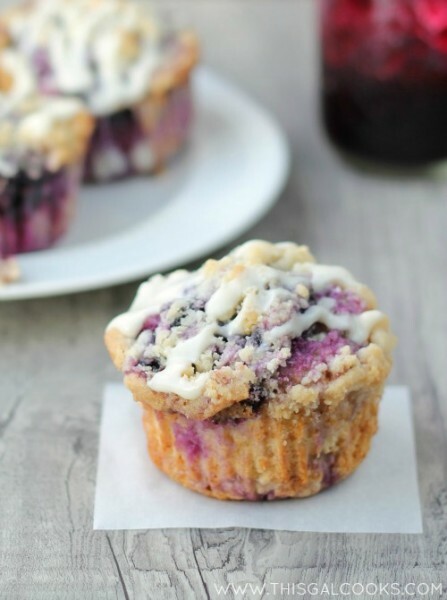 Your muffins look way good too! i've never thought to put pumpkin and butterscotch together. sounds amazing! Woohoo! This is the recipe I've been waiting for ever since I saw them on instagram! Thanks so much for linking up to Creative Thursday. Can’t wait to see what you share this week! Have a wonderful week. I love the idea of adding butterscotch to pumpkin! I bet it's fantastic! Julie – I just made these and my hubby and I had to force ourselves to stop at one! We just “taste tested”…WOW…these are gonna be wonderful with my pumpkin spice coffee in the morning! 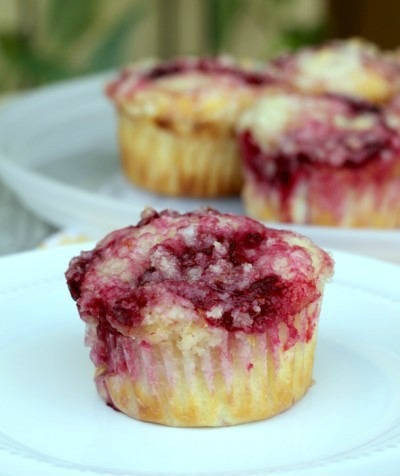 Oh… love the flavor combos in these muffins. The pudding, white chocolate and pumpkin spice. Sounds amazing! Totally pinning these, thanks for sharing at Show Stopper Saturdays! I just want to say that these muffins look seriously good! OMG…these look delicious Julie! I love all of those flavors together. Thank you so much for joining us and sharing at Best of the Weekend! Pinning to our party board. Have a great week and please join us next Friday. These sounds amazing!! I just LOVE butterscotch and pumpkin so these are definitely going on my must try list. Yum!! These sound right up my alley! Pinned! Thank you. Hi! These look awesome, what can I use instead of applesauce though? Hi Mel! Thank you! You can use canola oil instead. I used applesauce to cut back on a little of the fat. I pinned this a while ago but finally decided to try them the other night. They tasted great but came out incredibly thick. My batter was more like a dough and the finished product was like a dense, chewy bread :/ I followed the recipe exactly but couldn’t figure out what went wrong. I hand mixed so I know that’s not the issue. Any tips on how to thin the batter out? Maybe less flour would do the trick (I could taste it coming through the pumpkin flavor)? I am not sure why that happened as it did not happen when I made them and I haven’t heard that from anyone else. Are you in a higher altitude? If so, that could be why. You could try with a little less flour or maybe adding a little water or milk to the mix. I think adding more pumpkin puree would make them thicker but you could also try that. Hope this helps! of cardiac arrest. However, by that time, it is possible that the patient has already suffered considerable brain damage. As you probably know, some varieties are deep fat fried and they have little nutritional value. now trusts you as someone genuinely interested about helping them succeed and they ask you what network marketing company you’re in. Bring the dumbbell back to the ground and alternate the rowing arm while stabilizing with the opposite arm. HGH Rudman Clinical study, which mainly focuses on growth hormone injections, is one of those researches. Things like free bonuses when ordering specific packages. Participants within the study ranged in ages of 23 to 66 and were severely HGH deficient. Is it important to put in the applesauce? That is one ingredient i forgot to purchase, or is there something else I can use to put in the recipe?